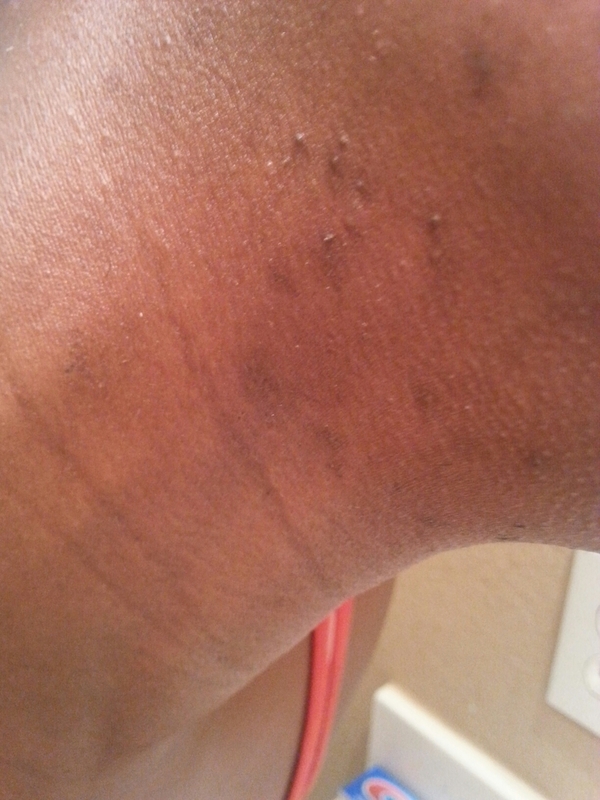 My skin is turning on me! 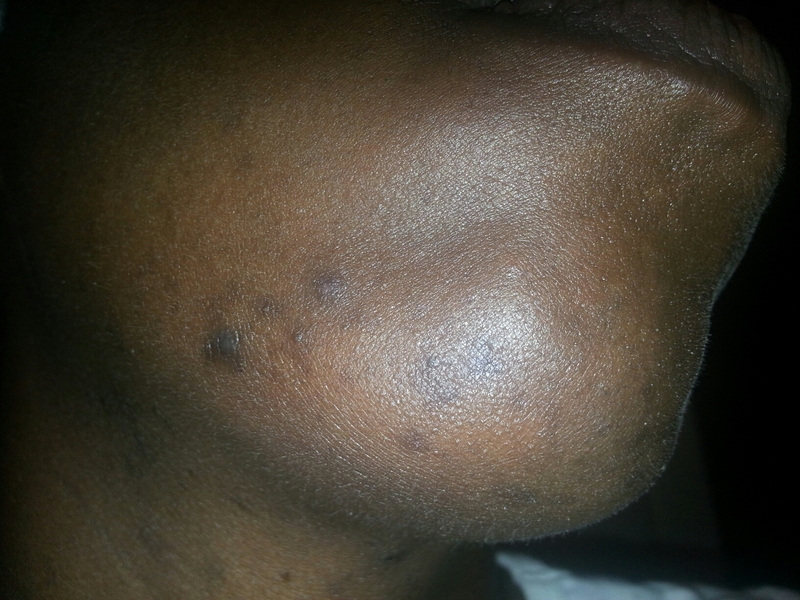 Zits and dark spots at my age is a no-no! It’s bad enough that I’m seeing fine lines and wrinkles. I’m far too old to start dealing with this foolery. So recovery mode is in full effect. 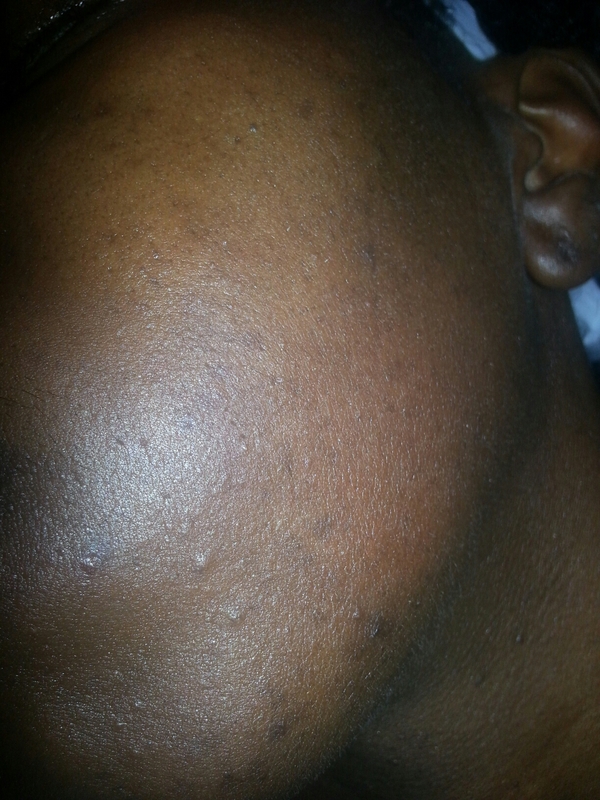 I’m not changing the direction of my blog, although this post is regarding my skin. It is indirectly related to my hair since it is the reason this is occurring. Well, my hair really isn’t, but more or less my attempts at growing my hair. 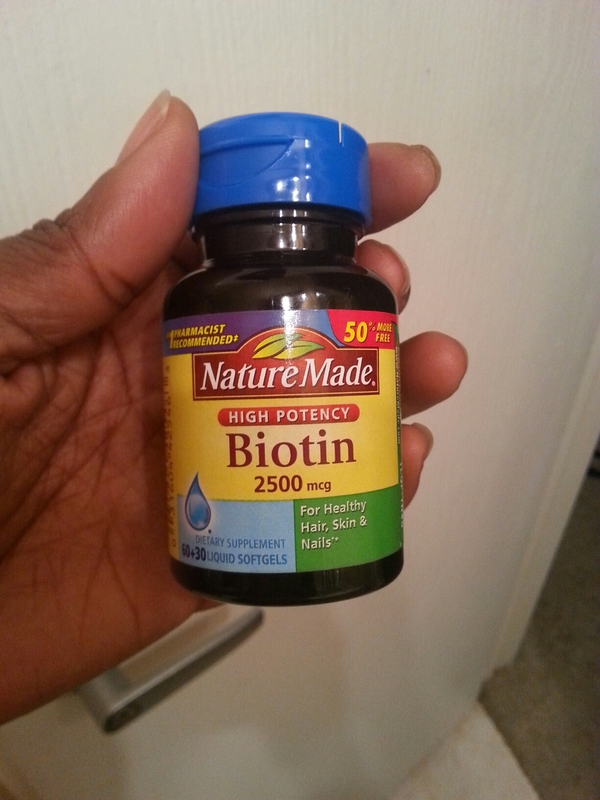 I have been taking Biotin supplements consistently for the past few months. As anyone who has taken Biotin before probably knows, they can cause hair growth in other areas, in addition to your head. Uhhh yea…so as if that’s not bad enough, I’m also a picker…I like to pick at things. So when these hairs spring up, I pick and pull at them until I finally pull it out. The end result sometimes is an ugly dark spot. I often wonder why I continue to do this when I know what’s going to happen. I have yet to make sense of it. Needless to say, I’ve decided to tackle this issue using good old, ol’ school Ambi Fade Cream. I’ve used this years ago but I can’t recall how effective it was. It was on sale for less than $5 so I figured I would see how it works. I decided to use my blog to track my results since it seems to be the easiest. Today is Day 1. (I can’t believe I’m posting these pics). …they definitely do their job – hair growth. I’ve taken them off and on for the past year. I’m pretty sure I can contribute much of my hair growth to the fact that I’ve popped quite a few. That’s the great part. What’s not so great though, is they tend to do their job too well. Whenever I’m taking these little lovelies, I also grow hair in places that I’d rather not – like here! See those tiny little hairs starting to sprout? There’s also the evidence of prior damage. Before, I took them daily. However, this time my plan was to only take them three days a week. This was my first week taking them and it’s started already. Uggghhh! Time to pull out the cocoa butter! 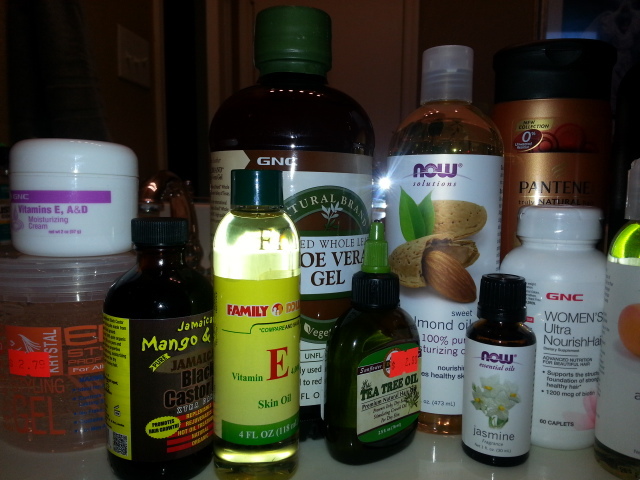 Since starting my blog, I’ve posted a couple of times about my supplements and Biotin was one of the supplements I talked about. Click here and here to read those posts. I’ve been taking GNC Women’s Ultra Nourish Hair and for the most part I’ve been pleased with it – my nails grow like crazy and finally they are strong and don’t break and chip so easily. I’ve been doing better about my skincare and my skin is doing better. I’m not sure how much of a difference the supplement made though because of my taking a more proactive approach. As for my hair, it is doing fine. 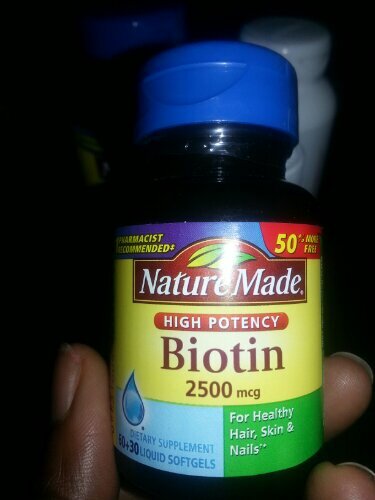 So I will continue to use Biotin. 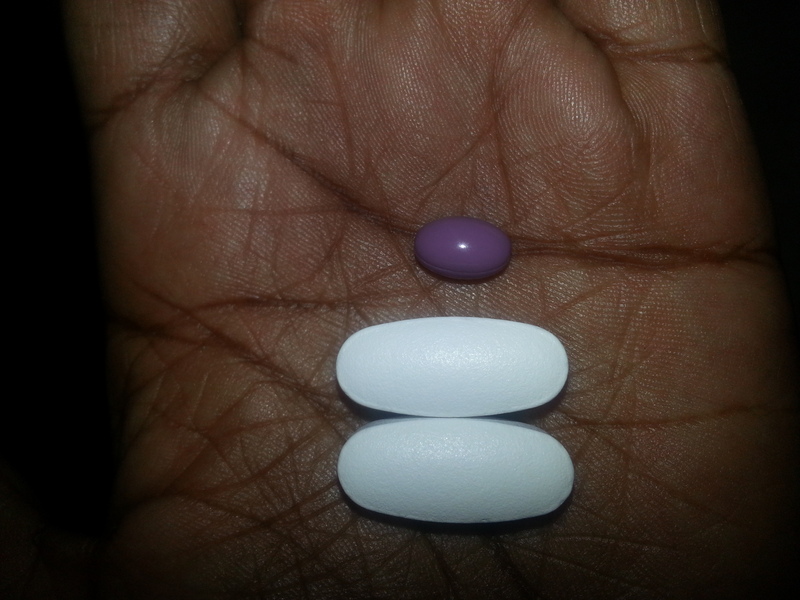 I would go from taking two of the huge Nourish tablets to one of the tiny Nature Made pills, along with my multivitamin and fish oil supplements. I have three days left of the Nourish before I start the Nature Made. I will post a review after taking them for about 2-3 weeks. 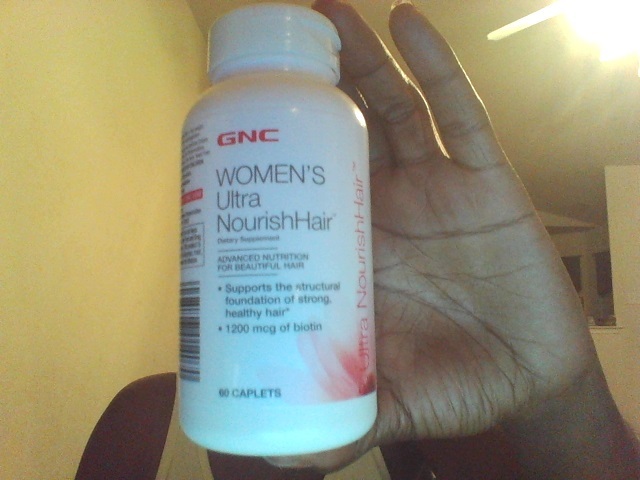 Today makes a week that I purchased the Women’s Ultra NourishHair Supplements that contain Biotin. Due to some of the side effects of Biotin (i.e. 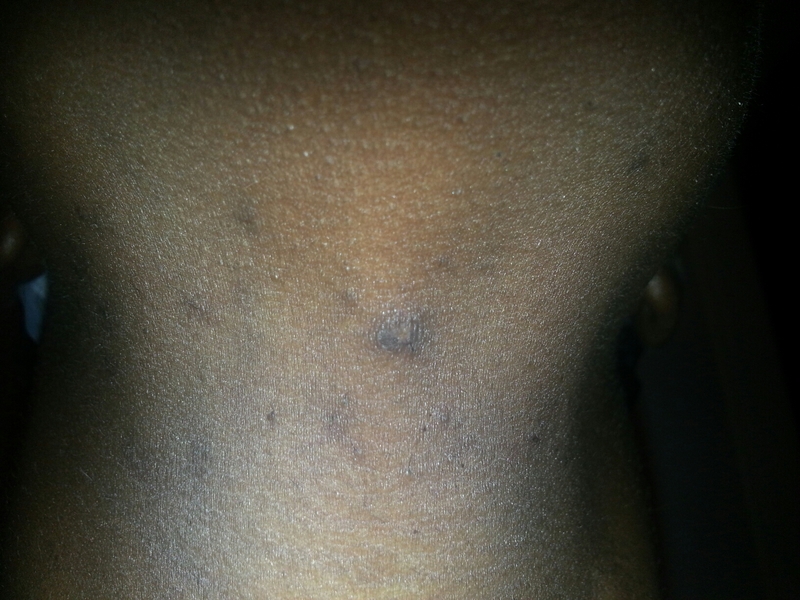 acne, hair growth in other, unwanted places) that I came across during my researching, I wanted to watch closely to see if I experience any of those things. So far, so good. It’s only been a week, but I thought it was important to note this so I will have a complete frame of reference in the event I start to have issues. On a positive note, I think I’ve noticed some hair growth. I say “think” because I don’t do actual length checks. I pretty much stretch and observe my hair. I’m thinking that I may need to start doing length checks, however, in order to gauge how much and how often my hair grows. So, I’m not reading too much into my hair growth observation this week. 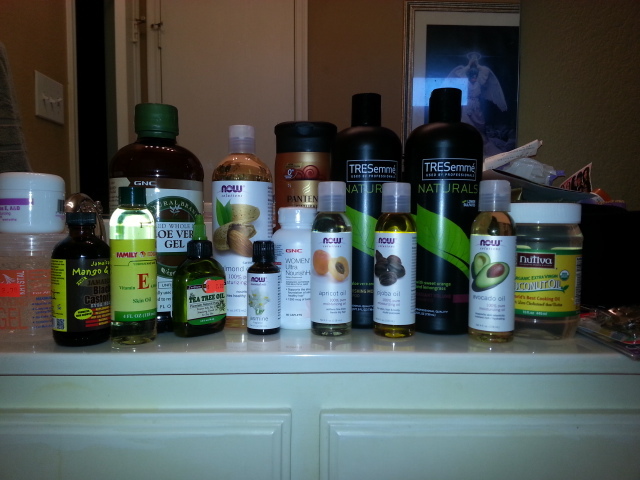 Yes, my blog is about my hair journey, not nutrition. However, nutrition and being fit and healthy plays a part in having healthy hair. Hence this post. I typically try to eat pretty healthy and clean. I won’t say that I clean eat ALL the time, but for the most part, I do. I also workout 3-4 days a week, I run and do weight/strength training. 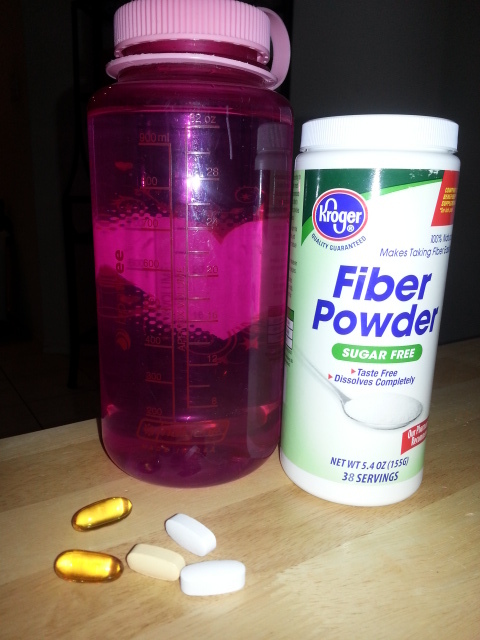 In addition, I take supplements on a regular basis…my norms are 3 fish oil capsules, 1 One a Day for Women, and 3 servings of fiber during my day. 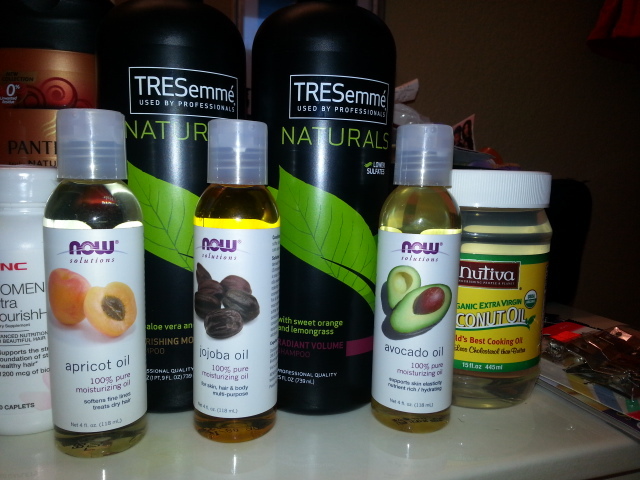 Yesterday I bought the GNC NourishHair Vitamins. The label says to take two daily and I plan on taking them that way since I’m used to taking supplements already. Then one change that I’m making is I’m going to take 2 fish oil capsules instead of three since I’m adding another supplement. I also drink a lot of water water ready – almost a gallon a day. 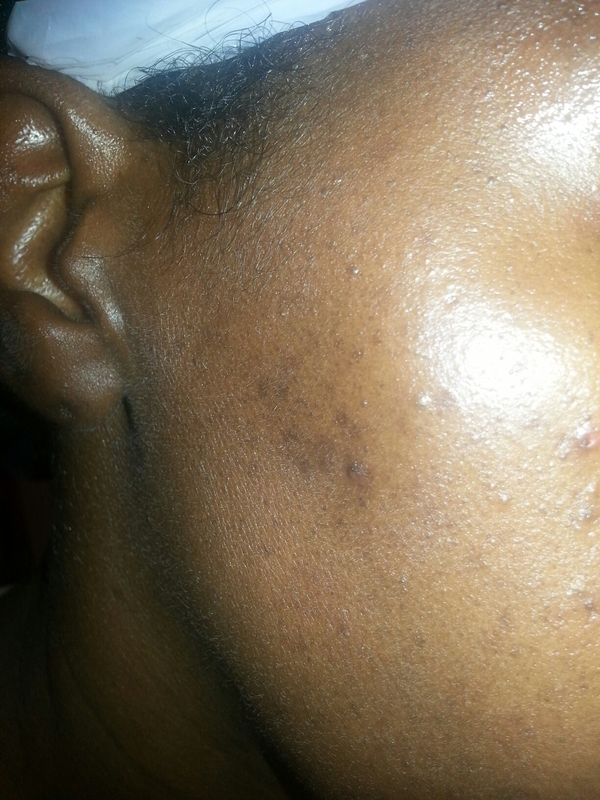 Some of the reviews that I’ve read on blogs and seen on YouTube about Biotin, the supposedly hair growth miracle mineral, indicated that it caused some acne and hair growth in unexpected places such as eyebrows, legs, and let’s just say other places. They blogs and vlogs also mentioned that fact that they are supposed to be taken with lots, and lots of water, which they weren’t doing. So since I drink plenty of water, (I’ve almost drank a liter already this morning since I drink about 8 oz with each supplement) I’m hoping I won’t have this problem. But I will be monitoring this closely.